Drones have many uses in the construction industry and architecture. Each month a growing number of people in these fields use them to save time and money and bring convenience to their jobs. Using small unmanned aerial vehicles weighing under 55 pounds, people involved in the design and construction of homes and buildings can show clients in-progress pictures without having to hire a pilot with helicopter and an aerial photographer. This is a real cost-saver. Drones also permit construction managers to spot conditions that are hazardous to workers. UAVs enable engineers and other professionals to inspect bridges, highway overpasses and underpasses and other areas that are difficult or dangerous to access. Videos taken from above can be converted to three-dimensional pictures to be fed into a computer using software that makes comparisons with the architect’s plans. This setup can also automatically alert construction managers about what specifically may cause delays so they can try to keep the project on track. On some large projects, drones fly over the site every day work is in progress. The Seattle architecture and design firm SRG Partnership used a drone to photograph many views of the atrium with skylights and clerestory windows at the Center for Student Success in Olympia, Washington it designed. The drone allowed the designers to see complete views of the lighted atrium from above even after construction was complete. Drones are kicking drawings and models to the curb as marketing tools because accurate re-creation of topography using technology and 3D scans serve the purpose. UAVs permit architects to see the actual surroundings around the projects they are designing so they can see them in context. Drones also eliminate the need for them to make frequent trips to the site. Drones equipped with surveying software do surveying in real time. They save many hours over traditional surveying methods. Depending on the size of the project, drones can help a developer obtain survey results within hours rather than days. Unmanned commercial drones have to be registered with the FAA before they can fly. Businesses that use them should ensure that they have insurance coverage for drone flights that may be involved in accidents and for the potential invasion of privacy issues that drones present. Despite these issues, drones are here to stay. In many areas of construction and design, their advantages outmatch traditional methods. 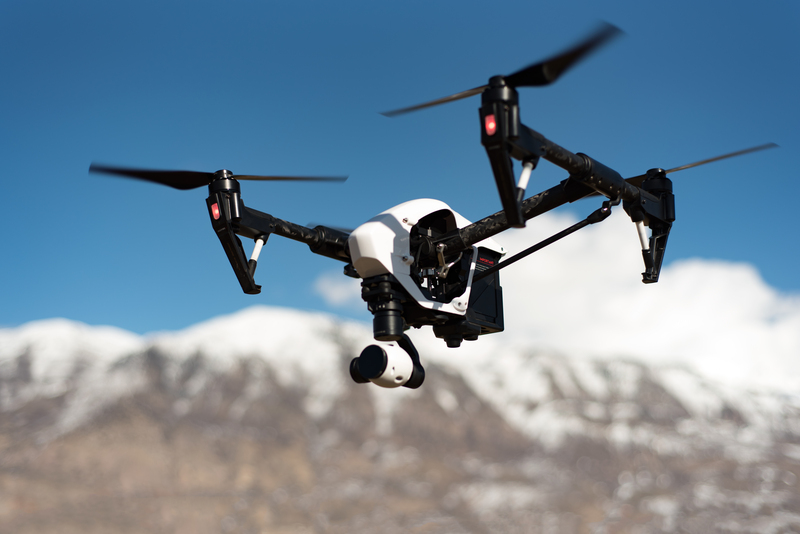 According to statistics released by the National Association of Home Builders, 22 percent of builders of single-family homes have already used drones. A whopping 66 percent of the respondents knew that drones had a placed in the construction business. Larger builders—those with 99 or more starts—were more likely to use drones than builders with under 6 starts or builders with 6 to 24 starts. The possibilities offered by drones are endless A sea change in construction and related industries and professions awaits. Most businesses will be wise to plan for these changes.